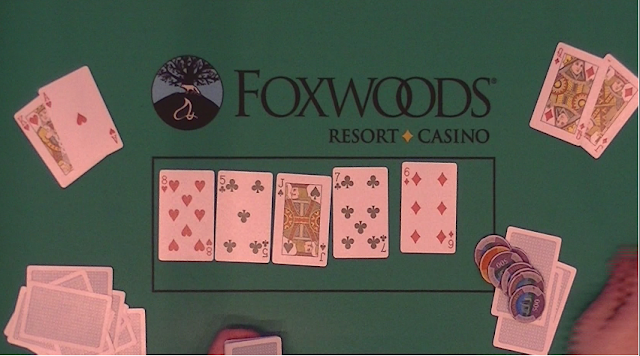 Esano Fermin shoves all in from the cutoff, and is called by Jason Eisele in the big blind. The board runs out [6d][2d][2c][2s][4s], eliminating Fermin in 16th Place. 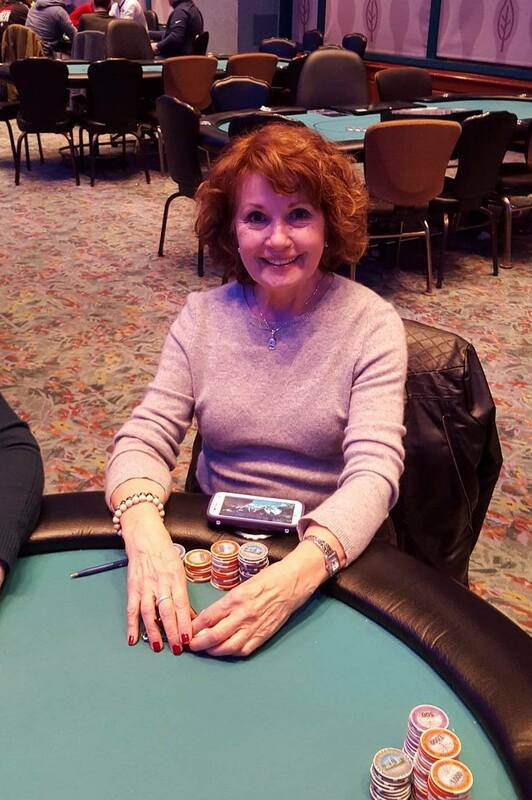 There were a total of 129 entries in today's $500 No Limit Hold Em Event. After nursing a short stack the majority of the day, Ranault is all in holding [kd][qh] against his opponent's [10h][10s]. It looked good for Renault when the [ks] came in the window, but the [10d] and [6d] were right behind it, giving his opponent a set of tens. The [5s] turn and [jh] river did not improve Renault's hand and he is sent home in 25th place. Thomas Marzilli is all in holding [9s][9d] against Mike Dentale's [10c][10s]. 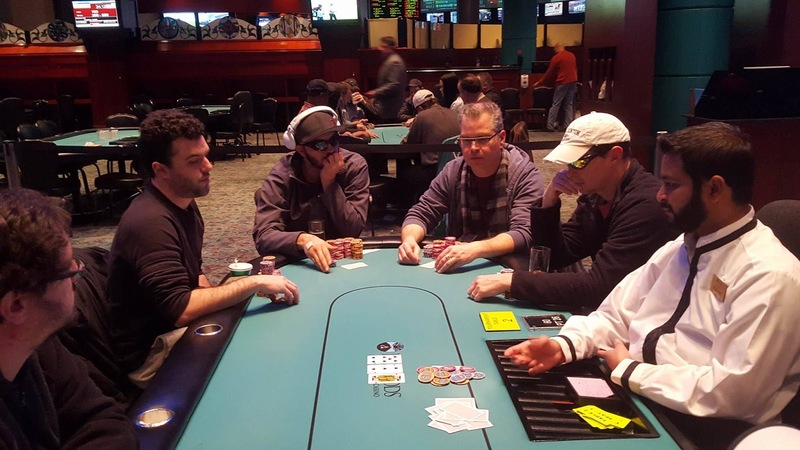 The flop comes [kd][8d][2c], leaving Dentale's tens in the lead. 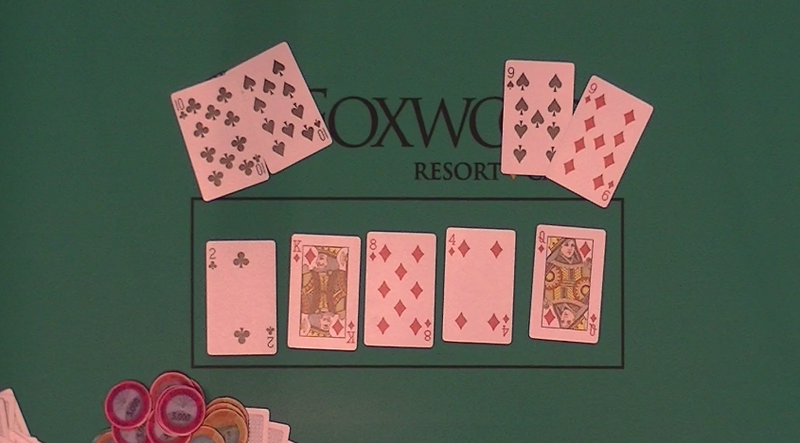 The [4d] comes on the turn giving Marzilli a flush draw, but maintaining Dentale's lead. 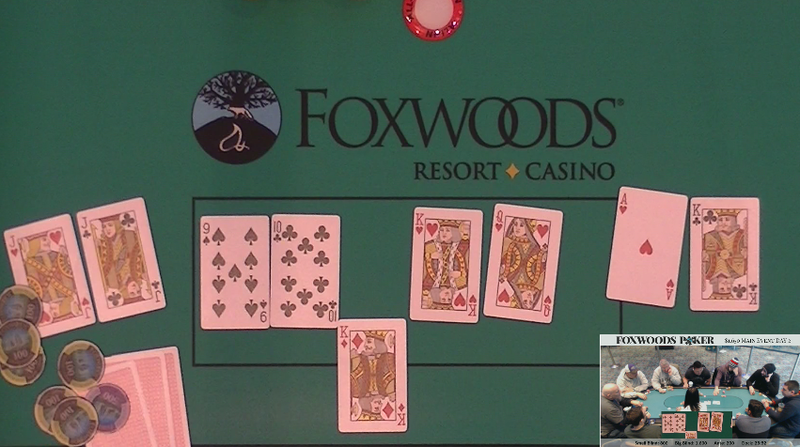 The [qd] on the river gives Marzilli the flush, and a full double. Thomas Renault raises to 18,000 in middle position. 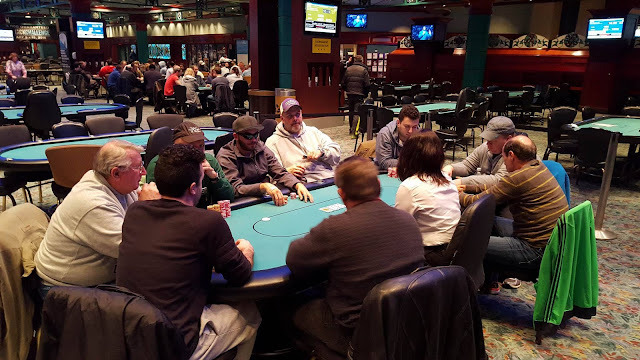 Giuseppe Ruvolo calls on the button, and Joseph Rice shoves all in from the big blind. Renault smooth calls the all in, leaving himself 95,000 behind, and Ruvolo also calls on the button. Renault checks in the dark and the flop comes [kd][8s][5c]. Ruvolo bets 100,000, and Renault folds. Unfortunately for Rice, the [js] turn and [ad] river do not improve his hand, and he is sent home as the official bubble. 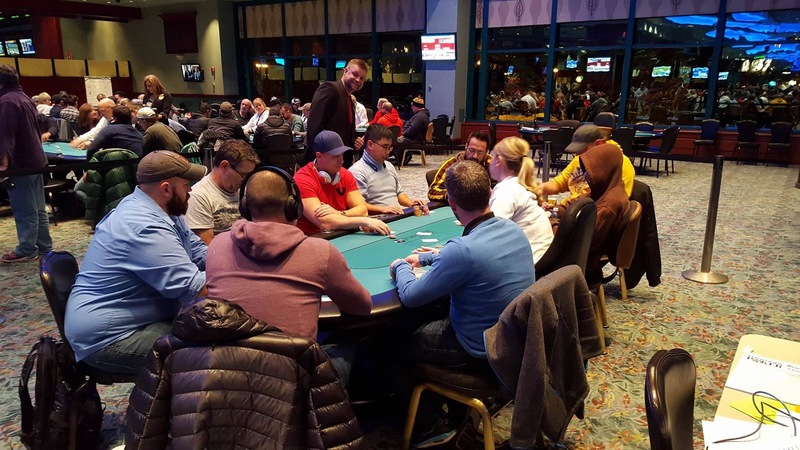 All remaining players are now in the money, and guaranteed at least $3,768. According to a player at the table, Hilary Dombrowski raised to 22,000 preflop, Teddy Geddes reraises to 57,000, Dombrowski shoves all in, and Geddes calls for less (approx. 250,000). 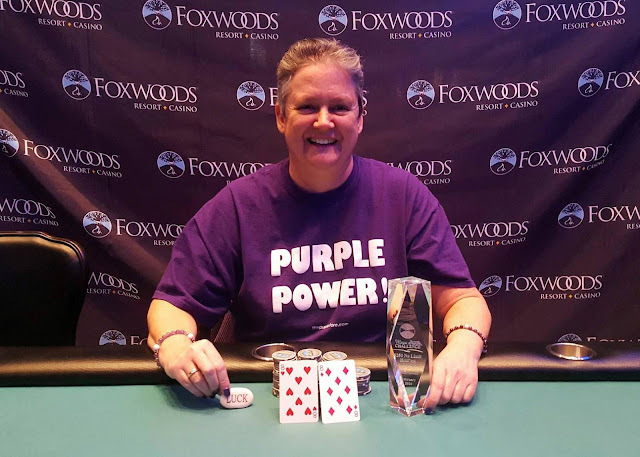 Dombrowski was holding ace-king against Geddes' pocket queens. 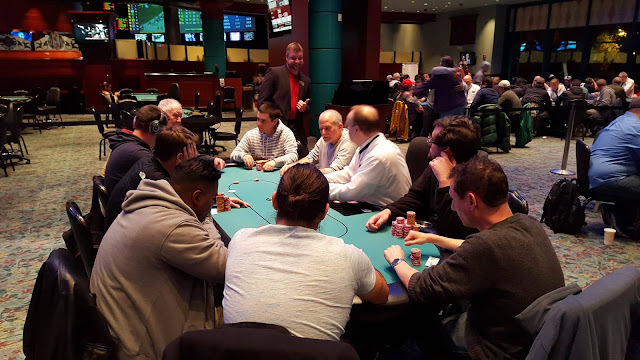 Unfortunately for Geddes, an ace came on the flop, and Geddes failed to improve on the turn or river, and was eliminated one from the money bubble breaking. Dombrowski is now sitting with 655,000 in chips, and we are officially on the bubble. Hand for hand play will now begin. On a board reading [ks][jh][10s], Justin Higgins checks in the hijack, Donald Bliss bets 30,000 on the button, and Higgins shoves all in, having Bliss covered. Bliss goes into the tank for a few minutes, until Higgins calls the clock on him. He is given 60 seconds to act, and after 50 seconds, Bliss throws in a chip to call. Players are now on a 60 minute dinner break. Play will resume at 3,000/6,000 blinds, with a 1,000 ante. There are currently 30 players remaining, and the money bubble is expected to burst shortly after dinner break, with 27 players getting paid. Payouts/Prize Pool for the main event can be found here. Streaming of our feature live table at www.foxwoodslive.com will resume after the dinner break. 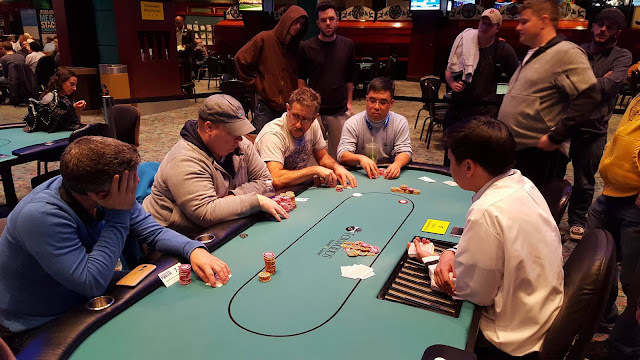 James Campbell is all in from the small blind holding [qd][jd] against the player in the big blind holding [ah][kh]. 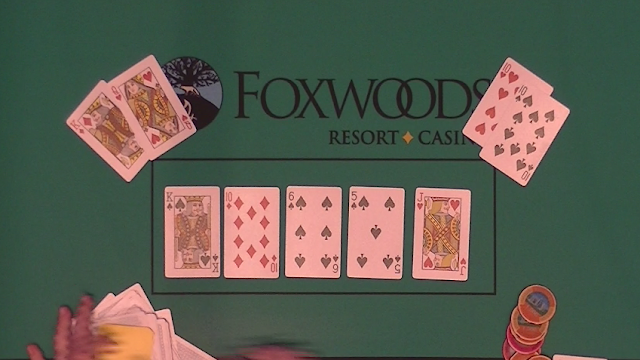 The flop comes [8h][5c][js], giving Campbell the lead with his pair of jacks. Fortunately for Campbell, the [7c] turn and [6d] river are safe, and he is awarded a full double up. He is now sitting with 115,000 in chips. Ted Driscoll makes it 8,000 in middle position, and Jason Eisele calls in the big blind. The flop comes [kh][5c][3d]. Eisele checks, Driscoll bets 12,000, and Eisele calls. The turn is the [6d]. Eisele again checks, Driscoll bets 26,000, and Eisele calls. Both players check the [qs] river. Eisele announces, "Ace high," as he turns over [ac][4c]. Driscoll turns over [ad][10d]. His ten kicker will play, and Driscoll is awarded the pot. Driscoll is now sitting with a bit over 400,000. James Frangoulidis is all in holding [jh][jc] against his opponent's [ac][kc]. When the flop comes [kd][10c][9s], his opponent takes the lead with his pair of kings. The [kh] on the turn furthers his opponent's lead. When the [qh] comes on the river, giving Frangoulidisa straight, he sighs heavily, and is awarded a full double up. Frangoulidis is now sitting with 75,000 in chips. 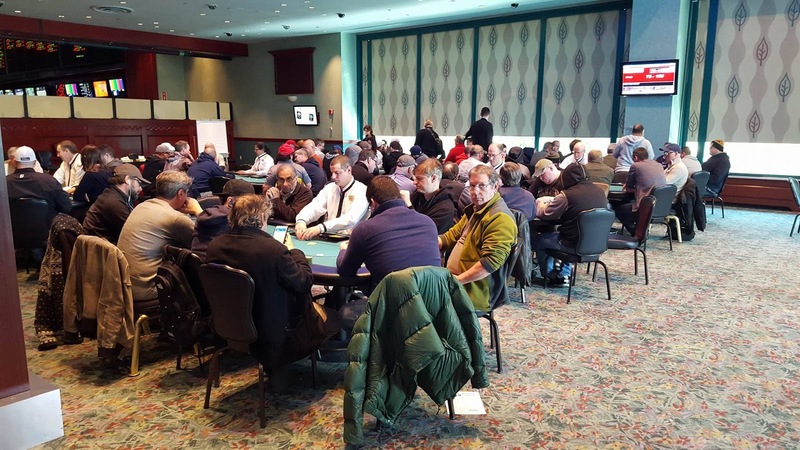 There are currently 76 entries in today's $500 No Limit Hold Em event. Players have until the beginning of level 9 to enter/re-enter (all levels are 40 minutes in length). The remaining 99 players have taken their seat to start Day 2 of the $1,650 Main Event Championship. 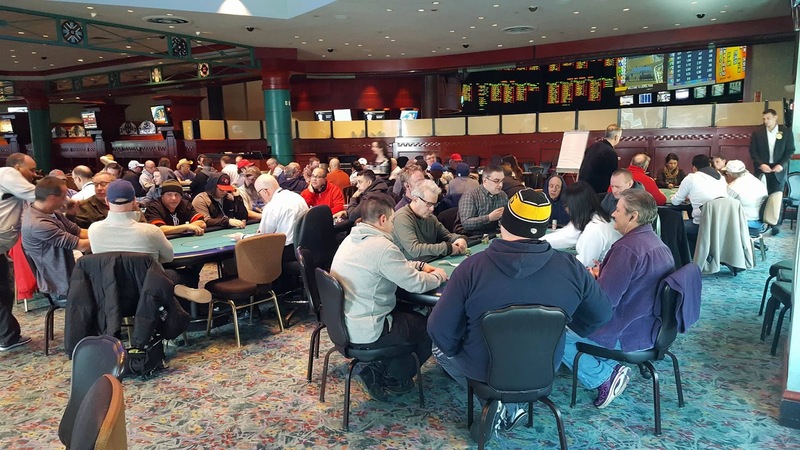 As a reminder, this event boasts 60 minute levels on Day 2, and the top 27 players will make the money. 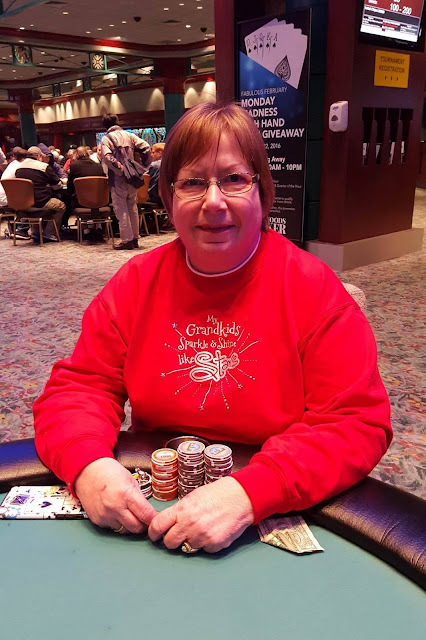 Francine Lee was eliminated when she shoved all in holding pocket sevens, against Geraldine Gaber's pocket tend. Gaber flopped a full house when the flop came [ax][ax][10x], and Lee failed to improve on the turn or river.